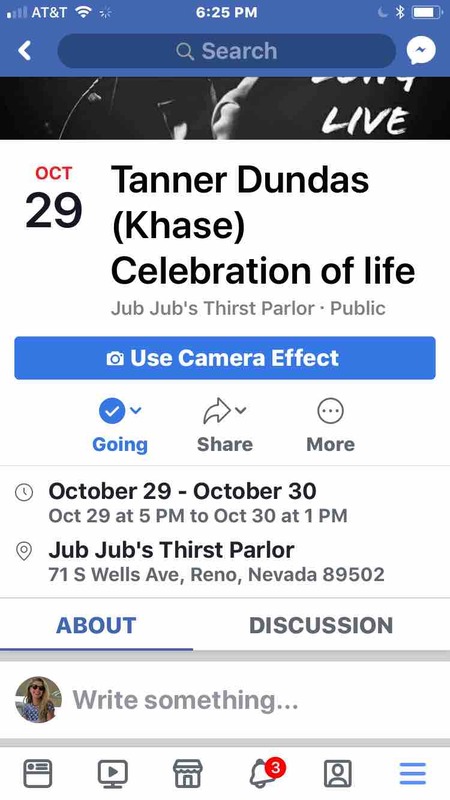 On Sunday, October 15, 2017, our beloved Tanner Dundas lost his life in the early morning hours due to a hit and run accident in Reno. 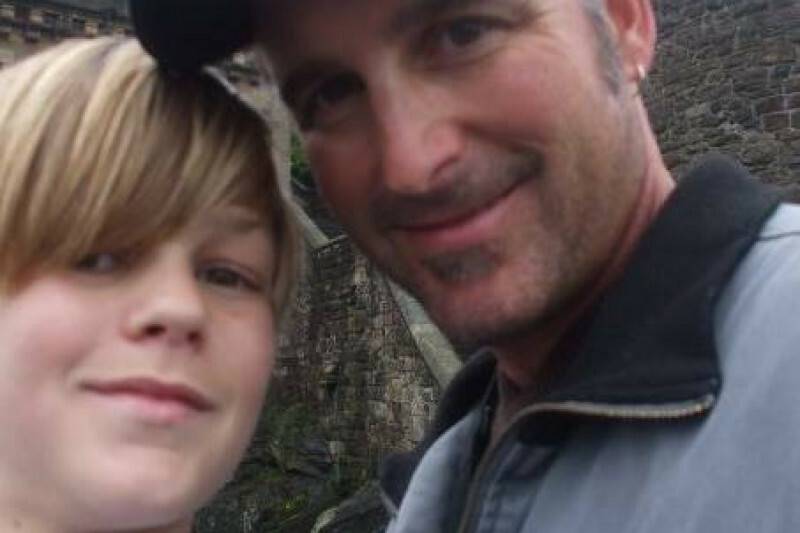 The shock, loss, and heartbreak has been unbearable for Tanner’s family and many, many friends. Several of you have asked what you can do to help. We have created this page and ask for any donations to assist Scott and his family in providing a memorial service for Tanner. Importantly, there is no amount to small to contribute. Together, our single contributions can make a big difference and surely ease some of the pain and uncertainly Scott and his family are experiencing during this incredibly difficult time. Tanner, you are a light that was taken far too soon. Your beautiful and tender soul brought much to our Tribe. You live on forever in our hearts and souls. Good morning! I write this update with tears in my eyes for the love, compassion, and financial support this beautiful family continues to generate. Please know that Scott and his family are so very grateful for your words and actions. 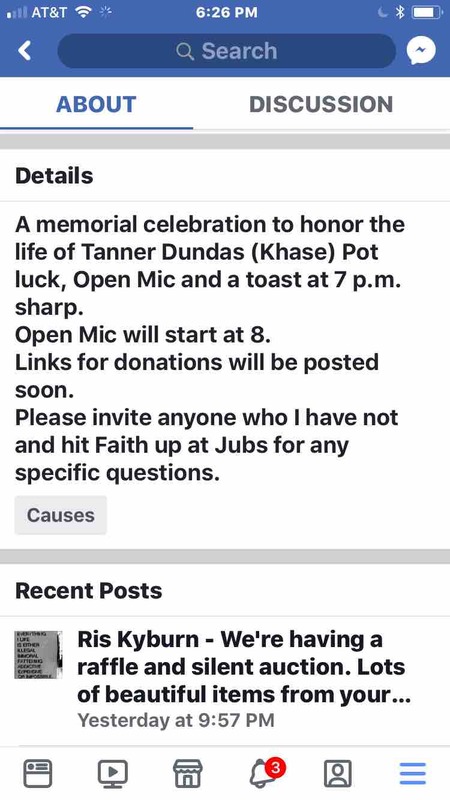 Additionally, I want to share with you that a Wells Fargo account has also been set up under the name of Tanner Dundas Memorial Fund. If someone prefers to show their support in that way, all they need to do is go into any Wells Fargo branch and use that account name to make a deposit. The Wells Fargo account is actually tied to a debit card held by Scott. Big thanks and love to Melissa Palange for setting up that account with Scott yesterday. As I close out this update, thank you all for your heartfelt love and support. We have almost reached our initial fundraising goal, please continue to share this page for Tanner, Scott, and the Dundas family.